Cooper angle design alloy billet silver window winder handles. New slimline linier design with a cool retro feel, the angled design on these alloy billet window winder handles give the nostalgic feeling of the 1960's era of the Mini Cooper. 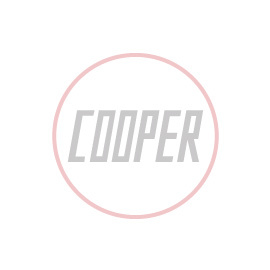 Anodised in silver with nickel Cooper logo badge. Sold as a pair.